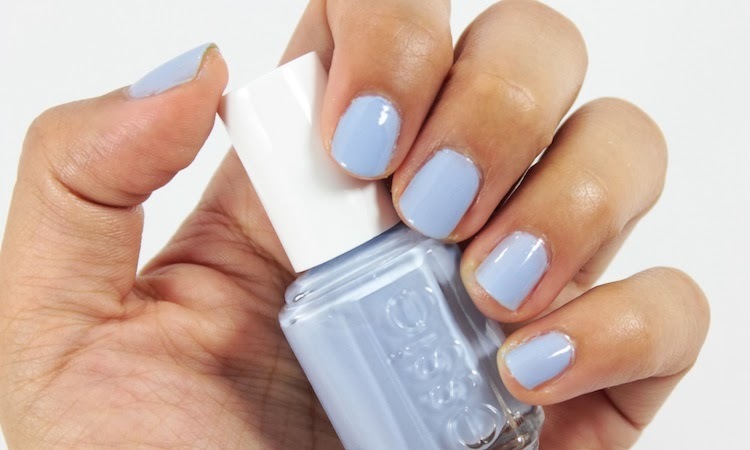 The last colour I have from Essie's Summer 2013 Collection is Rock the Boat. 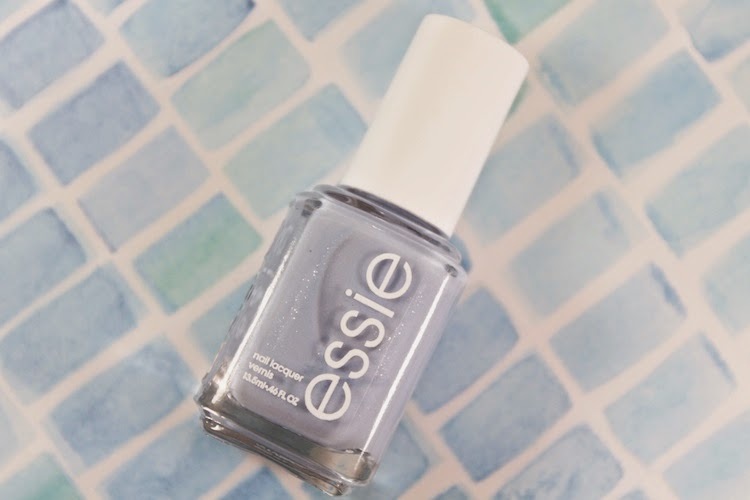 It is pale baby blue with a hint of silver shimmer. You can see a bit of the glisten in the bottle, and it is noticeable on the nails in certain light. When applying this polish, I realized that I rarely gravitate towards blue polishes. I own quite a few, but they're usually last on my mani list. The formulation is quite fluid but the application was a little streaky. It required three thin coats for an even finish. Overall, I found it to be finicky to work with, but I do like the colour... it seems like a unique shade. for such a cute colour i think it'd be worth the hassle! That color is gorgeous! I love turquoise & caicos by essie.